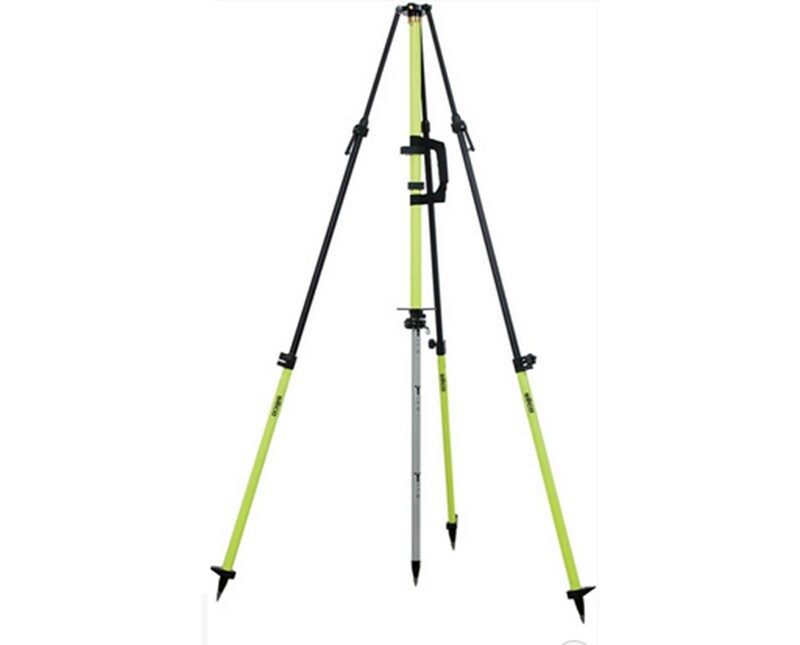 The Seco 5119 Heavy Duty Aluminum Antenna Tripod is ideal for GPS and machine control. Its extension legs adjust it from 50 to 79 inches tall. The center rod rotates a full 360 degrees and has dual graduation, allowing a selection of up to 3 different heights. It adaptor head has 5/8 x 11 thread for use with standard equipment. The replaceable pointed metal feet take a firm hold in the ground. This adds steadiness and precision to any instrument that this device supports. 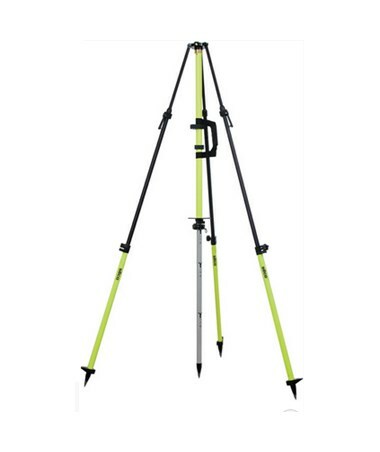 The Seco 5119 Heavy Duty Aluminum Antenna Tripod weighs 15 pounds and comes in yellow or florescent yellow. All of its parts are made of an anodized aluminum to enhance its durability. It includes a built-in compass, a convenient shoulder strap, and a 1 year limited warranty.